Dental365, a growing network of dental offices in the New York metropolitan area, takes pride in donating time and money to charitable organizations across the country. 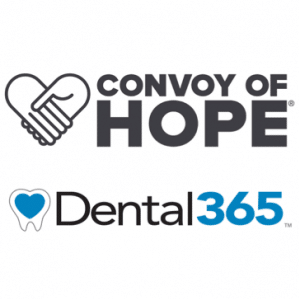 Hurricane Harvey has impacted so many people’s lives in Texas, so Dental365 has pledged to give $7500 to Convoy of Hope to help with disaster relief efforts in the wake of the storm. Convoy of Hope is a faith-based, nonprofit organization with a driving passion to feed the world through children’s feeding initiatives, community outreaches and disaster response. The organization was founded in 1994 by the Donaldson family. Their inspiration for starting Convoy of Hope can be traced back to the many people who helped their family after their father, Harold, was killed by a drunk driver in 1969. Today, more than 80 million people have been served throughout the world by Convoy of Hope. Their work through churches, businesses, government agencies and other nonprofits provides help and hope to those who are impoverished, hungry and hurting.